Programming note: For more on the MH370 tragedy, watch CNN’s Special Report, “Vanished: Mystery of Malaysia 370,” Friday at 10 p.m. ET. It’s hard to believe that we still don’t know exactly what happened to the Boeing 777, or why it vanished en route from Kuala Lumpur to Beijing on March 8, 2014. “It was inconceivable that in this day and age we would lose an airplane that big without a trace,” Marin told CNN on the phone from ICAO’s Montreal headquarters. The tragedy shocked the ICAO enough that it quickly got to work. The result is a long-term plan called the Global Aeronautical Distress and Safety System (GADSS), which uses innovations in technology and communications to better watch the planes we fly on. 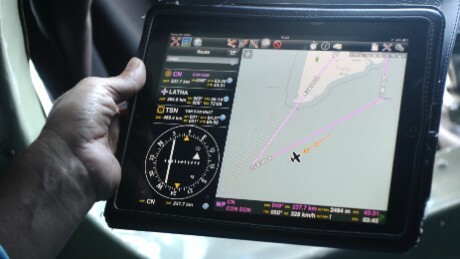 One part of the plan requires that all large aircraft now automatically track their flight positions every 15 minutes, while another new rule focuses on what happens when a commercial flight is in distress. You may remember that the reason the world lost track of MH370 was because its transponders mysteriously stopped transmitting the airliner’s location about three minutes after the jet’s final radio call. Now the ICAO is mandating that the world’s airlines provide a so-called “distress tracking system” on their planes by 2021. The system would autonomously transmit an aircraft’s position at one-minute intervals whenever the plane is in “a position that — if it is left unattended — will result in an accident,” according to Marin. 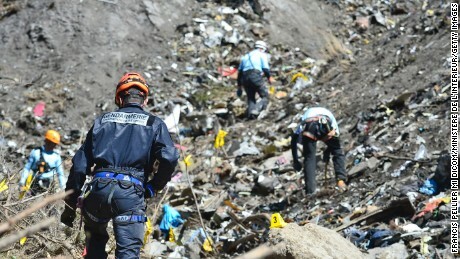 This system can work “irrespective of any pilot action,” Marin added; transponders could transmit a distressed plane’s position and unique aircraft ID to authorities, who could launch a rescue. While some pilots have opposed the idea as a safety issue, saying they want to be able to turn off any electrical system on board in case of a fire or other in-flight emergency, a company called Aireon says customers — including Malaysia Airlines — are already signing up for its system, which it plans to have on line by next month. The company uses a constellation of 66 interconnected satellites that will make it possible to monitor all air traffic in real time — even over vast stretches of ocean where ground-based radar coverage is impossible. Here’s how it works: Planes are outfitted with devices called transponders, which send signals that are picked up by ground stations and the orbiting satellites. Those signals are then transmitted to airlines and air traffic controllers. Space-based global tracking is expected to eliminate the vast blind spots in aircraft tracking that still exist over the world’s oceans, deserts, mountains and other remote regions. These are the gaps that resulted in the loss of MH370 and created lingering questions about its fate. Investigators were able to get clues to the jet’s location from its smart-tech engines, which were programmed to regularly ping maintenance data to orbiting satellites. But the pings weren’t designed for tracking, and they could only reveal that MH370’s last position was believed to be somewhere in the southern Indian Ocean. The years since the disappearance of MH370 have been difficult for loved ones of the passengers and the crew. No crash site has been discovered, and bodies have not been found. Memorial services were held without any certainty about what happened. In January 2015, nearly a year after the plane disappeared, Malaysia’s government officially declared the missing plane an “accident” and said all on board the aircraft were presumed dead. But two searches of the Indian Ocean continued until 2018, costing tens of millions of dollars. 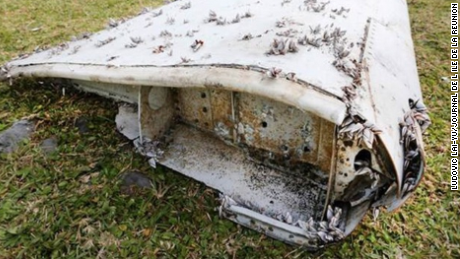 In 2015 and 2016 debris that was confirmed to be from MH370 — including a wing fragment and part of the jet’s flaperon — washed ashore in eastern Africa and nearby islands, thousands of miles from the region where the plane vanished. Officials with the Australian Transport Safety Bureau told an Australian parliamentary hearing last year that the plane had likely crashed into the Indian Ocean after running out of fuel. Nonetheless, on March 3, Malaysia’s Prime Minister promised to continue searching. Marin, who agrees MH370 likely crashed, believes that if it had been equipped with a distress tracking system it would have automatically alerted authorities and pinpointed the location of the plane’s wreckage — solving one of the biggest lingering questions in this historic mystery. The biggest challenge now is creating a “one-stop” data repository where air traffic controllers, search and rescue coordinating centers and aviation regulators such as the FAA can all get access. Marin said he’s confident the ICAO will have a prototype distress tracking system repository that will be operational and ready for testing in a year’s time, with the goal of having it in place and fully operational worldwide by January 2021, Marin said. More than 1,500 daily flights connect the United States and Europe. With real-time surveillance, pilots and air traffic controllers will have much more flexibility to optimize flight paths, cut flying time, burn less fuel, and emit less greenhouse gas — “all very important things to the aviation industry and to passengers,” Thoma said. Aireon, along with Canadian and UK aviation authorities, plan to start live tests in parts of Canada and across the North Atlantic in April. We may never know all the answers to what happened to MH370, but if space-based tracking and ICAO’s plan prove successful, it’s unlikely we’ll ever see another tragedy quite like it again. CNN’s James Griffiths, Ben Brumfield, Miles O’Brien, Ben Westcott, Angela Dewan and Jessie Yeung contributed to this report.